This is a really cool idea of how you could make a special and eye catching promotional product. Nowadays mugs are a very common promotional product, but here you see how you can make it as one of the coolest items your customers have ever seen in the market. 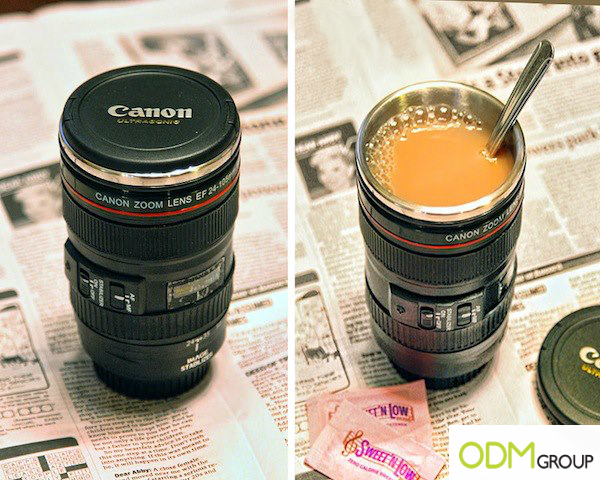 The mug looks completely like a camera lens with its lid on. You wouldn’t tell it’s a mug because it has all the features on. Check it out! Looking for more ideas of promotional products that would make your company different from competitors? Just take a look at the following posts!